The world may finally be calming down from the Bird Box craziness, but the memes live on. Netflix released the Sandra Bullock film at the end of December 2018, and it became an unexpected phenomenon. 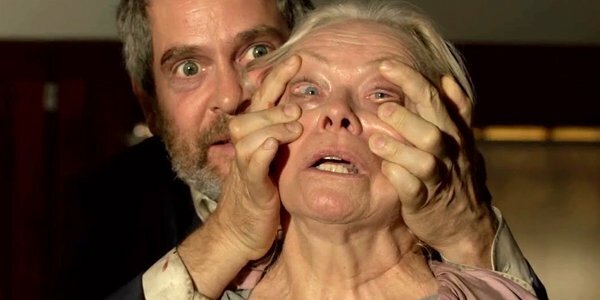 People blindfolded themselves for the #BirdBoxChallenge, until Netflix — and then authorities — had to ask people to be careful and, for heaven’s sake, don’t drive with your eyes covered! Fans turned Bird Box into a meme factory, particularly finding great use for shots of Tom Hollander’s mentally unhinged Gary as he desperately tried to get the other characters to SEE. Fans used the Gary meme in any number of jokes and real-life references, which was all a huge surprise to Tom Hollander himself. Yeah, that has to be something. Tom Hollander is a 51-year-old award-winning British actor — known for films like Gosford Park, Pride & Prejudice, and Pirates of the Caribbean, and TV series like The Night Manager. And now also as The Crazy Guy In Bird Box. Bird Box memes were everywhere about a month ago. The #BirdBoxChallenge seemed to pop up out of nowhere, with fans trying to mimic the film (and book’s) conceit of needing to shield your eyes through everyday life. If you saw one of the mysterious monsters, it would reveal your biggest fear, and you’d either kill yourself or — if you were already mentally unstable like Gary — you’d becoming an evangelist for the creatures and try to force everyone to see. It’s possible Bird Box will get a sequel of some kind, since it was reportedly a huge hit for Netflix, but there’s no word on that front yet. For Tom Hollander? After Gary, he had a role in Netflix’s Mowgli: Legend of the Jungle and he’ll apparently have three roles in the upcoming Kingsman prequel Kingsman: The Great Game. Here’s what’s headed to the big screen in 2019, and also what you can keep an eye on from Netflix.